In April 2018, members from across the home performance industry traveled to Washington, DC to participate in the first annual Contractor Lobby Day. 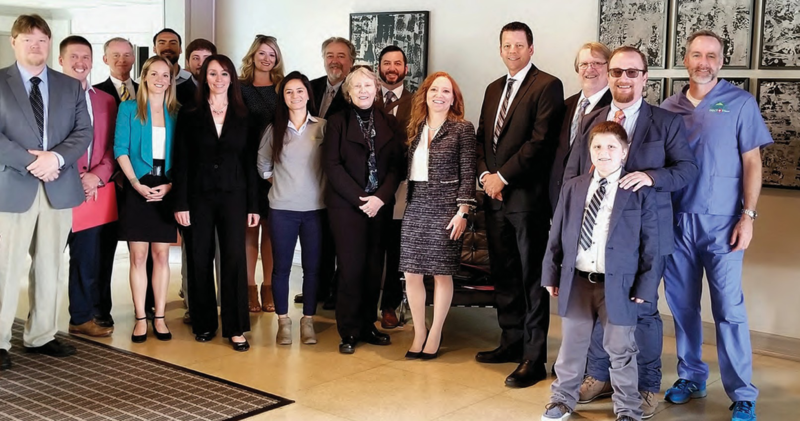 The lobby day, which was sponsored by E4TheFuture, consisted of meetings with members of Congress and their staff to advocate for residential energy efficiency/home performance policy. The event was free to attend and provided an opportunity for members of the home performance industry to meet with policymakers in DC and share the message that energy efficiency means jobs! With Congress in the middle of the FY19 appropriations process, policy asks focused on appropriations for the Weatherization Assistance Program, State Energy Program, and Residential Building Integration within the Building Technology Office (which houses Home Performance with Energy Star, as well as Home Energy Score and many other important programs). All of these offices and programs work to advance residential energy efficiency across the country and are very important to the advancement of the home performance industry. In addition to appropriations, participants advocated for residential energy efficiency tax credits, the inclusion of residential energy efficiency in any potential infrastructure package, and residential PACE. The day was packed with meetings in the House, Senate, and Capitol Building. Meetings were held with a total of 31 Congressional offices – a big feat for just one day’s work! Despite the busy schedule, participants all had smiles on their faces and even had time to snap a selfie. Meetings were held with both Republicans and Democrats—some ardent efficiency supporters and some whom were in need of persuasion. Regardless of their prior position on residential energy efficiency, what mattered most was the opportunity to meet with their legislators, to put a face on our industry and tell the stories of our businesses. For the members that have been strong supporters of our industry, like Congressman Jamie Raskin and Senator Chris Van Hollen of Maryland, it was an important “thank you,” a reminder that their work on Capitol Hill has real-world implications, and encouragement to keep fighting for home performance policy. For members of Congress who didn’t know much about home performance policy and what they can and should be doing to help our industry, like Congressman Schweikert, the meetings provided an important opportunity for face-to-face education and opened the door for engagement on policy work, support for appropriations, and schedule in-district meetings with their constituents to tour their businesses and see it firsthand. Less than a month after our meetings on the Hill, both House and Senate appropriators passed their FY19 Energy and Water appropriations bills. Residential energy efficiency programs – the ones participants advocated for during the lobby day – did exceedingly well, with some programs receiving higher levels of funding than they’ve seen in many years. Indeed, our voices really did matter. While making a phone call or signing a petition to show your support is the first step, nothing can replace a face-to-face meeting with lawmakers to discuss how our industry works, the obstacles we face, what we need to grow our businesses, and how they can help. We look forward to working with you to make a difference in DC! To get engaged, share ideas, or stay in the loop about future lobby days and advocacy efforts, please email Lizzie Bunnen at lizzie@anndyl.com.